Surrender to the beauty of the Oscar de la Renta™ Drop P Earrings. Pewter brass metal drop earrings with handcrafted cotton paper maché pearls and Swarovski® crystal accents. 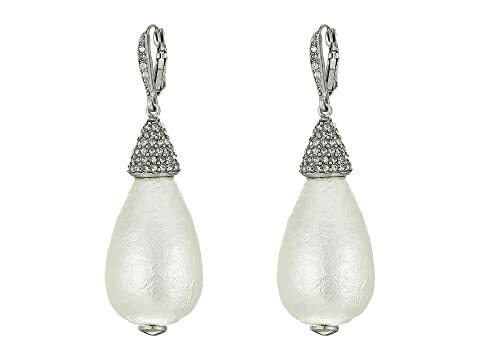 We can't currently find any similar items for the Drop P Earrings by Oscar de la Renta. Sorry!